Filmmaker Madeleine Sackler simultaneously filmed the fiction film O.G. and the documentary It’s a Hard Truth, Ain’t It at the Pendelton Correctional Facility in Indiana. In the documentary that premiered at the Tribeca Film Festival, Sackler conducts a workshop for inmates to create their own film. 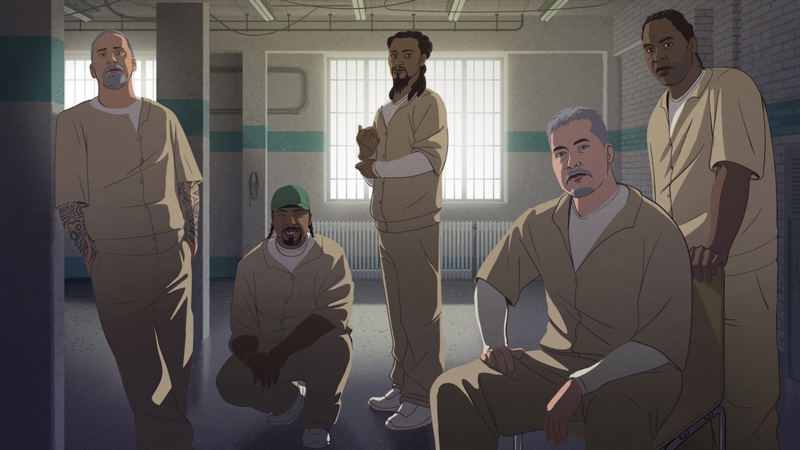 The prisoners’ stories are visualized by animator Yoni Goodman (Waltz with Bashir). The men open up with candor about their crimes and personal histories. Eschewing the sensationalism of other prison documentaries, this project gives a voice to a population rarely heard from. Distributor: HBO Documentary Films.